Heather at Luster was sweet enough to send me the weekend whitening system to try and review. This set comes with a 6 fl oz bottle of Weekend whitening system (Accelerator mouth rinse), a 10ml bottle of Super whitener, and a teeth color chart as seen in the picture. 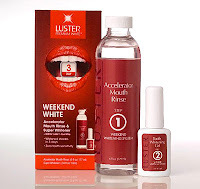 I will show you before and after photos of my teeth before using Luster weekend white and after photos of the whitening system. This is my teeth (Before) Luster weekend white. As you can see in the picture my teeth are seriously stained from fruit juices, soda, coffee, and more.. I compared my teeth to the color chart that was provided to me in my system, Because of many previous whitening systems that I have bought in the past my teeth color was only number 4 on the chart. Could be better..But could also had been worse. (Day - 1) First day of using Luster.. In the matter of hours I could see a difference in the color of my teeth. 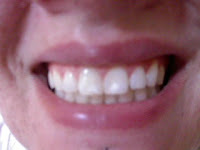 My teeth were not as dull and discolored. (Day-2) Second day of using Luster weekend white and WOW! what a difference it made! If you compare my top teeth to the top teeth in the picture above the day 2 picture is alot more healthy looking, alot brighter, and not as dull. (Day-3) Third day of using Luster weekend white. Can you tell a difference? If you look closely and compare this picture with the one above you can tell the day-3 picture doesn't have as much of a "Yellow" tint deep inside the teeth. They are white, Bright. 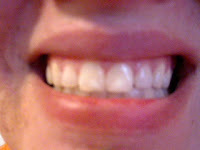 This is my teeth (After) Luster weekend white. Big difference! I used the product on the whole row of my top teeth, and product on the top of my teeth on the bottom so you can compare the before and after. 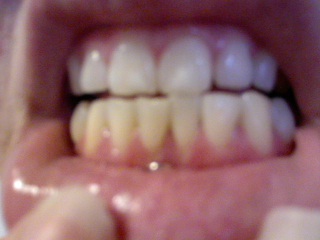 Top row and the top of my bottom row of my teeth are super white. 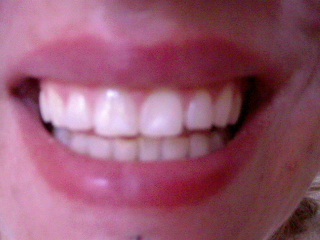 and the very bottom of my teeth are still stained, can you tell a difference now? I can! This Whitening was simple to use. 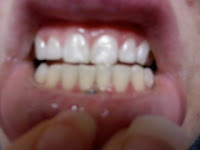 It didn't burn, It didn't leave white stinging spots on my gums where the super whitener touched. I have used many product before and none of them worked this well! I will be using Luster white for now on. It's the best on the market in my opinion and the pictures prove it. ♥ I receive no monetary compensation for this review. 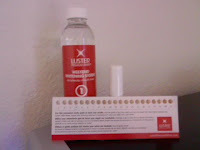 I was provided Luster Premium White to try and give my honest opinion.